The ibis budget Troyes Centre (formerly Etap Hotel) is a stone's throw from Troyes' historic city center and is an affordable place to relax after a trip to the factory shopping outlet 3.1 miles (5 km) away, after a concert or show at the Exhibition Center 875 yds (800 m) away, or simply after a stroll around the city center with its 10 churches, museums and cathedral. We have rooms to accommodate 1, 2 or 3 people with free WIFI and a free car park. Good breakfast, comfy room, excellent location, good value. Apart from the first impression when arriving at the car park, everything else was fine for one or two nights. The location so close to the heart of the city is fantastic. It is hard to understand why Ibis doesn't spend some time and effort and money on giving this Ibis Budget a badly needed makeover. Having said that, the reception was friendly and our room was clean and comfortable. Free on site parking is apparently safe although it looks anything but! Convenient location. We love the town, we didn't have breakfast in the hotel, we wanted to have a walk and find a cafe. The lift is audible from the rooms, which is a shame, but otherwise it was everything it needed to be. Hotel clean and in order. Price very good for central location. Hotel clean and in order. Receptionist helpful and friendly. Price very good for central location. 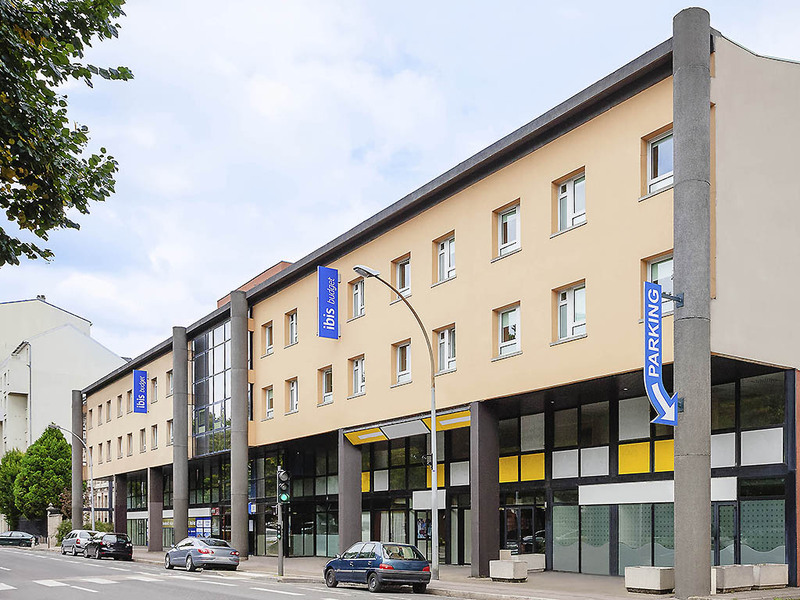 Within 10 minutes walk of the Old Town this hotel is ideally located. Large free car park at the rear. Rooms were spacious and clear, breakfast was plentiful. The only downside would be the bathroom which was rather dated. Clean but dated. We use this hotel frequently as a stopover on the way to and from the Alps. It’s cheap, clean, accessible and dog friendly with free parking away from the road. It also benefits from being a short walk from the historic centre of Troyes where you can get a late meal and a drink. Reliable stopover stay as always. Very friendly lady on the counter this time and rooms basic but clean as usual. Some of the woodwork good do with a coat of paint but overall no concerns. We found the receptionist and staff very helpful and kind. The hotel was clean and nice. Although we were road side the traffic wasn't noisy. Just a short walk to the centre. We would stay there again. Basic. Only one small pillow per person. I asked for more but was told there were no more available as hotel was full. The stay was as expected and the Staff most helpful but for some reason the desk had no knowledge of my bookings either for this stay or my return journey the following week. We coped and sorted the problem as there was plenty of spare capacity, BUT this needs some attention as we plan to stay here regularly as a convenient stop to and from the piste or beach. I found a bed bug in my room. I photographed it and showed it to the member of staff on the desk the desk morning but she just says she would tell her manager, but did not ask which room I was staying in so don’t see how she could have done. It was a pleasant overnight on the way back from Haut Savoie. Although a budget hotel this Ibis is short walk from the medieval town centre. It has dedicated parking and although small, the bedrooms are clean and large enough. Although hotel sign was not lit and car park not easy to find, we had stayed there before so ok for us. It is a 'no fuss' hotel but the staff are very friendly and helpful and an easy walking distance from centre. Small but spotless room and good breakfast. Perfect for overnight stay on our way east! Helpful staff. Excellent value for money. A perfect overnight stop for us. The receptionist was absolutely delightful. The room was comfortable. To also have free car parking in a city was excellent as well as easy access to our room from the car park. We would happily stay there again. Everything worked and the receptionist was very welcoming. All was as we expected.